French biodiesel producer Avril’s plants are running at full capacity for the first time since June, according to Reuters. However, the company’s CEO says it could soon be pushed back to part-time operation due to Argentine imports. 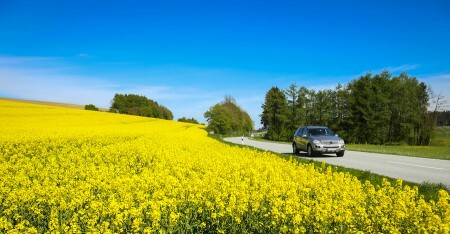 The boost in production is explained by strong oil prices and a surge in biodiesel demand, Reuters reports. Avril is Europe’s largest biodiesel producer, the company’s website saying its Diester brand of biodiesel is distributed in all French service stations. In March, Avril implemented a six month plan to reduce production at its oilseed processing unit, Saipol. The company blamed the move on a surge in biodiesel imports from Argentina exacerbating poor market conditions. Earlier this year the EU reduced duties on biodiesel imports from Argentina following a World Trade Organisation ruling. It was the latest development in a long-running dispute over Argentina and Indonesia allegedly ‘dumping’ biofuels into the EU market. “We will renew the part-time work for another six months because even though there is some progress, Argentine biodiesel is still coming massively into Europe every month,” Avril chief executive Jean-Philippe Puig told Reuters. “For the moment we are running at full capacity but how long this will last, I have no idea,” Puig said.